In a letter sent to employees at Koch Industries Charles Koch said his brothers' "health has continued to deteriorate." WASHINGTON — Billionaire entrepreneur, philanthropist and conservative activist David Koch is stepping down from his official capacities with the Koch organization due to declining health, leaving his brother Charles Koch as the sole family member to lead the company and their political and policy organizations. In a letter sent to employees at Koch Industries, the Nebraska-based energy and chemical company, Charles Koch told employees that David would be stepping down as "his health has continued to deteriorate." "David has always been a fighter and is dealing with this challenge in the same way," Charles wrote to employees. In addition to running Koch Industries, David helped to build a massive conservative network of donors that have built nearly a dozen organizations that work to organize voters and sway elected officials to support their libertarian-leaning economic policies. With David stepping down, however, Charles will continue to run the donor network. David's health has been in decline for the past couple of years and he had slowly been stepping back from the organization. The network, led by Americans for Prosperity, has worked for years to elect candidates who hold similar views to local, state and national offices. They have spent more than $1 billion in the past several elections in support of candidates and policies that hew to their free-market and small government philosophy. The organization has at times split with the GOP under President Donald Trump. They launched a multimillion dollar campaign this week promoting free trade and warning against tariffs and protectionist policies. 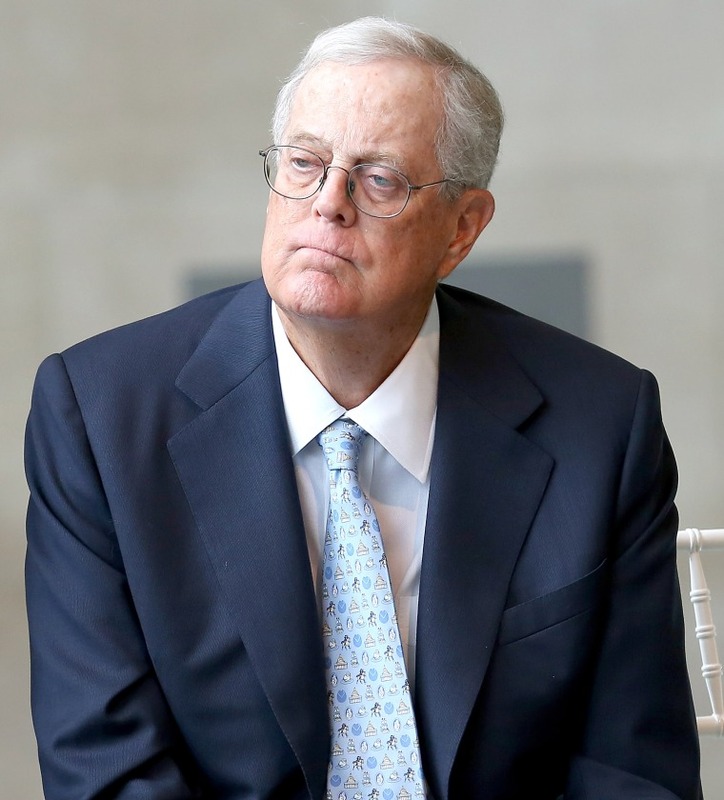 In addition to spending his resources on conservative politics, David Koch, a prostate cancer survivor, has also given hundreds of millions of dollars to cancer research. He has also donated at least $100 million to the arts in New York City, including $65 million for a renovation of the Metropolitan Museum of Art, according to an official bio.